Myanmar, previously known as Burma, is home to nearly 60 million people. Myanmar is a land of mountain ranges and fertile valley plains. It borders Thailand and Laos to its east, India and Bangladesh to its west and China to its north. Sadly, Myanmar has been ravaged by many years of civil unrest, human rights violations and trade sanctions. Open Heart International first visited Myanmar in 2003. The project originally trained cardiac surgeons in Yangon (formerly Rangoon), Myanmar’s largest city and former capital. Since then, the project has expanded to five hospitals across the country including Yankin Children’s hospital. Cardiac surgery is already performed by the participating hospitals, so the focus of the Myanmar project is to improve surgical outcomes within these centres. 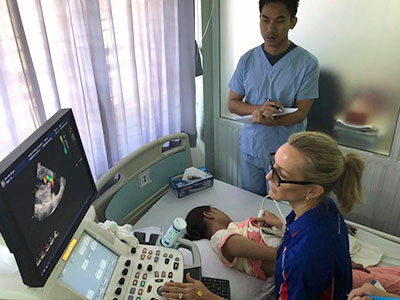 In 2017, over 90 cardiac surgery procedures were performed by Burmese clinicians in partnership with Open Heart International team members, across the five participating hospitals. 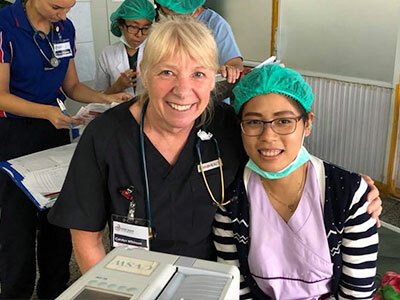 Each procedure provides an important opportunity for teaching, with the hope that new surgical skills can be replicated time and time again, long after the Australian team have departed. 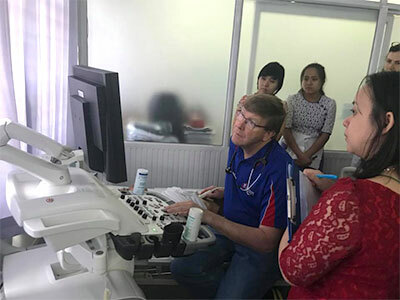 In addition to surgical skill transfer, the Open Heart International team lend their expertise in many ways, from case file review and test interpretation to patient selection and developing treatment plans for the local surgical team to follow. As part of the project, the Open Heart International team has identified a number of clinical areas that can be improved to achieve better patient outcomes. 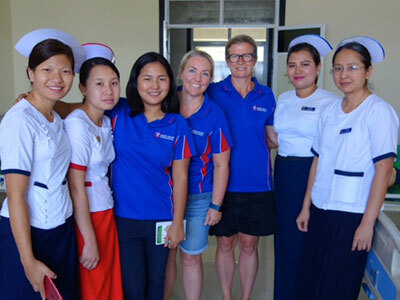 One area for improvement is cardiac screening and early diagnosis, particularly for children across rural Myanmar. Early treatment can improve patient outcomes and often prevent surgery later in life. The Open Heart International team have developed screening processes for primary healthcare professionals to use. Post-operative care has also been identified as an area for improvement. Many acute complications can be mitigated if staff have the processes in place to accurately monitor, diagnose and treat complications promptly.